Think of a studio that's seen Missy Elliot, Miles Davis, The Roots, Chic, Steve Reich, Ron Carter, and Joe Henderson record classic sides, then try to imagine a duo whose sound is so open-ended and original that it would be a surprisingly short step to connect them to anyone of those names – a sound that fuses the digital slash-and-staple of sampling and the irresistible momentum of jazz drumming, all without ever forgetting that there’s such a place as the dancefloor. 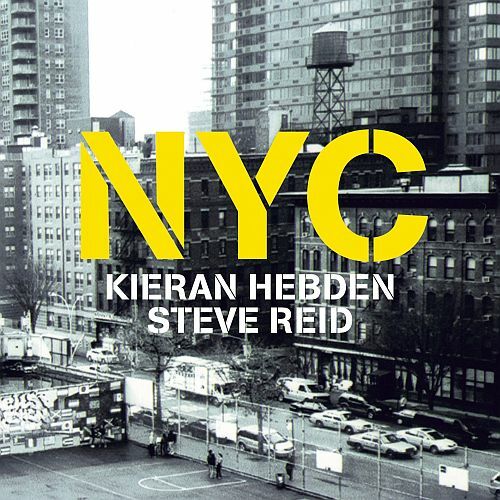 The studio is Avatar, in Manhattan’s Hell’s Kitchen; the duo is Kieran Hebden and Steve Reid. Kieran and Steve recorded NYC at Avatar over two days in February 2008, and the choice of location is at the heart of what the record is about. “Steve wanted to do something with the sound and feel of his home city,” explains Kieran. The whole set, down to the choice of tracks and their sequencing, was influenced by New York City’s (in)famous energies. The duo’s impressionistic take on their New York surroundings comes out in a language that’s got increasingly developed as the two build up their history. With NYC, Kieran and Steve are already onto their fourth album together in three years, not to mention Kieran's contributions to Steve Reid Ensemble records in the same time (such as last year’s Daxaar for Domino). This continuous flow of collaboration and work has blossomed into its most satisfying shapes yet. While their earliest sets were instant compositions, Kieran and Steve went into Avatar with a number of themes already mapped out, and road-tested over the course of the previous year’s live shows. 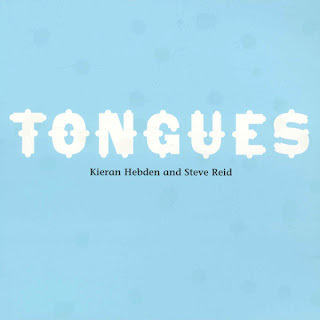 Tongues is the new record from Kieran Hebden and Steve Reid, and as you'd expect from two musicians so addicted to fresh sounds, it finds them speaking a whole new language after their earlier collaborations. You could never mistake Tongues for Volume 3 of the duo's acclaimed Exchange Sessions, even if they were produced with a similar aesthetic in mind. Like those encounters, Tongues features no overdubs or edits, just the unfiltered sound of two minds engaging in musical dialogue. The kaleidoscopic effects of Steve's drumming and Kieran's electronic chops and change-ups are all carved out and created in real time. But things have changed. The Exchange Sessions were documents of a specific moment, when Kieran and Steve had barely played together at all. The takes were long, loose and exploratory as the two musicians tested the waters and got to know each other. Tongues is more explosive. A series of shorter tracks, it's an altogether more focussed and even melodic blast. And it's been influenced by the heavy round of touring the duo have undertaken since those first encounters. ''We've been playing all kinds of mad different shows, from drum'n'bass nights in Italy to the Green Man festival in Brecon,'' explains Kieran, ''so the crowds have been really unpredictable. You get old jazz heads coming out to see Steve and dance kids too.'' 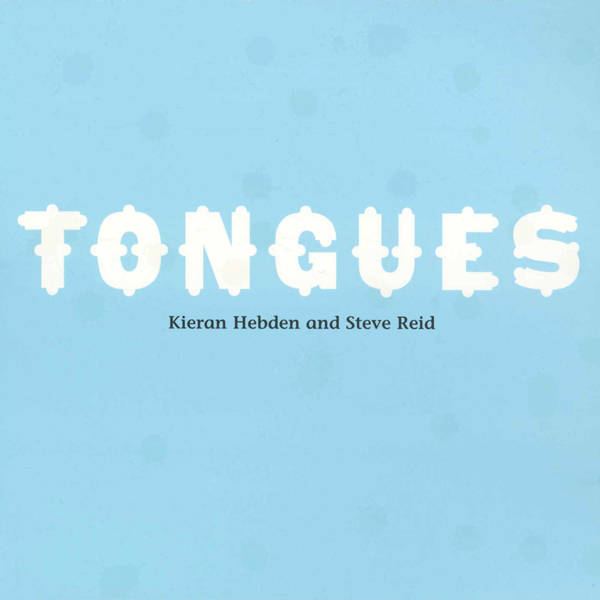 So one thing thats come through from all this touring is Tongues' more concentrated style of improvisation, with explosive riffing from both Steve's kit and Kieran's multiple sampler set-up. Another is Steve's pounding rhythmic pulse. His kick-drum anchors the sound no matter how wild things get, just as Elvin Jones' hi-hat did for Coltrane's classic quartet (Jones and Art Blakey are two of Steve's particular drum heroes). It means that wherever the audiences are coming from, whether from jazz, drum'n'bass or even Detroit techno (Kieran and Steve have been interpreting the Derrick May classic 'Strings of Life' in concert this year), they're going away happy. For the recording sessions in February 2006 Kieran prepared a set of possible departure points - samples or melodic ideas which Steve had never heard. In the case of 'Greensleeves', the initial idea came from Steve, who'd been picking through some music boxes in a shop and bought one for Kieran: ''Check it out, they had a Coltrane one!'' But all the tracks here are Steve and Kieran's instant, first-take responses to these ideas. Though he commonly practises for three hours a day, Steve doesn't see the point of rehearsing material, or even soundchecking for too long: if something happens, the time to capture it is right then, in the moment, when it first happens. 2007 promises to be an even busier year for Kieran and Steve. A 10-date UK tour is booked for March, culminating in another show at London's Koko, to follow up on the 2005 date played with Steve Reid's full Ensemble which widely blew minds and burned the rubber off dancing feet. Remixes by Audion and James Holden will see the light of day, and the duo have a trip to Senegal planned for more recording time. In the meantime, the duo can be seen in action on Nigel Godrich's groundbreaking online music show, From the Basement. 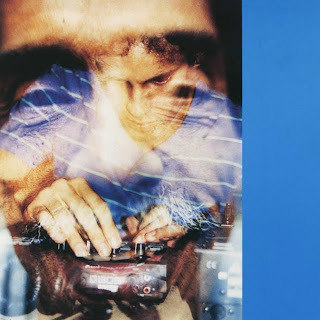 When I talked to Kieran a couple of years back, about from where he drew inspiration, he demurred saying that he really couldn't locate the sort of records he hoped would exist in the hinterlands of jazz, Krautrock and experimental electronic music. Since then, it seems - in addition to his ceaseless search for such illusive pearls - he's decided to start making his own. Steve Reid is the legendary drummer who in 1964 at 19 years of age played on Martha Reeves & the Vandellas' 'Dancing In The Street', and subsequently went on to play with Miles Davis, Fela Kuti and James Brown (think about that for a moment), not to mention Fats Domino, Sun Ra, Peggy Lee, Chaka Khan, Dexter Gordon, Dionne Warwick and many, many more. 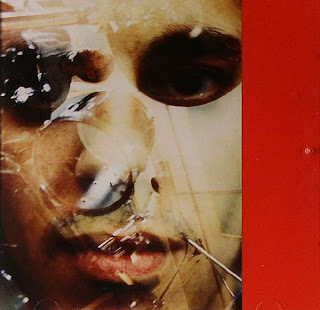 Early in April this year, he went into The Exchange in Camden, London (where Kieran cuts his records) to extemporise with the young man from Four Tet. Wholly improvised, unedited and without overdubs, 'The Exchange Session Vol 2' is the second half of the real-time result of this fecund union. Steve Reid is the legendary drummer who in 1964 at 19 years of age played on Martha Reeves & the Vandellas' 'Dancing In The Street', and subsequently went on to play with Miles Davis, Fela Kuti and James Brown (think about that for a moment), not to mention Fats Domino, Sun Ra, Peggy Lee, Chaka Khan, Dexter Gordon, Dionne Warwick and many, many more. Early in April this year, he went into The Exchange in Camden, London (where Kieran cuts his records) to extemporise with the young man from Four Tet. Wholly improvised, unedited and without overdubs, 'The Exchange Session Vol 1' is the real-time first result of this fecund union. ''My life changed the day we recorded the Exchange sessions. I couldn't believe I was involved in making this music. It was such a revelation to be able to create improvised music with this epitome of African-American rhythmic drum tradition.'' Kieran Hebden. ''I consider us to be pioneers, doing the electricity and the drums live. In the future this is going to be considered really important, but for now there's just this.'' Steve Reid.